Showing recent results 31 - 45 of 372 products found. EMI Analyst (U.S. Patent # 7,222,033) is the premier tool for ascertaining compliance with EMI requirements imposed by regulatory agencies.EMI Analyst is an electromagnetic interference analysis program that combines all four facets of EMI analysis into a single design package. The consolidated solution emphasizes a coupling and hybridization strategy, extending much beyond previous limits with larger models, higher operating frequencies, and more sophisticated scenarios, taking electromagnetic modeling one step further. Specialized in EMC & EMI analysis with Cable Networks,k Antenna placement and radar signature. Electro-magnetic compatibility testing to the EN or ETSI standards required for products manufactured in Commercial, IT, Telecom, Automotive, and Medical sectors, with an emphasis on our quality of service. 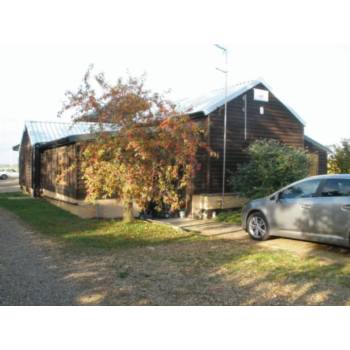 dB Technology currently has four main test areas comprised of the Anechoic Chambers, a Screened Room, a GTEM and the OATS. Allows you to measure electromagnetic field radiation levels from fans, electrical appliances, wiring, and power lines. Featuring a large 1/2 in. 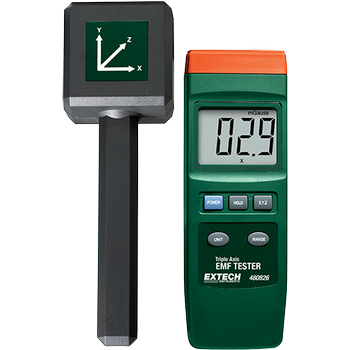 LCD display and a sampling time of 2.5 times per second, you can be assured of easy and accurate measurements. Readings available in both mill gauss or micro Tesla. Battery included. 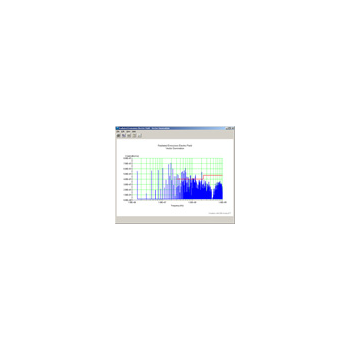 EM SLICE - EM Simulation Systems Pty Ltd.
EM SLICE is a simple, cost-effective, flexible and user friendly simulation solution for systems involving electromagnetic radiation. While we currently have finite element (FDTD) and Ray Tracing solvers under development, we also provide a python scripting capability to allow you to control parts of the simulation exactly as you wish. RaptorX is a novel pre-LVS electromagnetic modeling software. The limitless capacity of its engine in combination with highly accurate results and blazing fast modeling times are the core differentiating factors compared to any other traditional EM tool currently available. 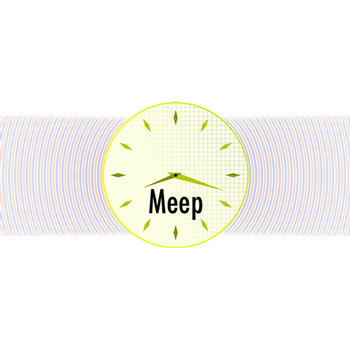 Meep (or MEEP) is a free finite-difference time-domain (FDTD) simulation software package developed at MIT to model electromagnetic systems, along with our MPB eigenmode package. Free software under the GNU GPL. Simulation in 1d, 2d, 3d, and cylindrical coordinates. A full-featured simulation solver, XFdtd outpaces other methods in efficiency as the number of unknowns increases. XF includes full-wave, static, bio-thermal, optimization, and circuit solvers to tackle a wide variety of applications, including antenna design and placement, biomedical and SAR, EMI/EMC, microwave devices, radar and scattering, automotive radar, and more. It also works with Remcom's ray-tracing products to provide thorough simulation capability at the low-, middle-, and high-end of the electromagnetic spectrum. QuickWave-3D - QWED Sp. z o.o. 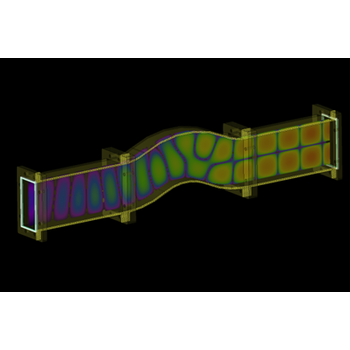 Complete 3D electromagnetic simulation offer a set of various results from wide area of applications. A lot of processing / postprocessings present a complete offer of comprehensive solutions from microwave components (filters, couplers, resonators, etc.) 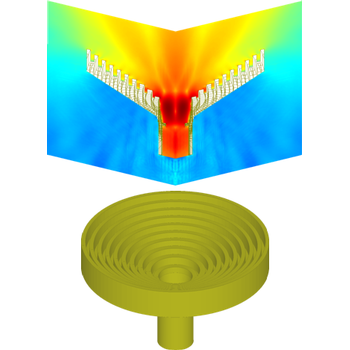 through antennas, TDR applications, optimisation and parameter sweep to simulation of microwave heating process (with Basic Heating Module) with temperature dependent media, static, rotated or moved heated object(s), and heat transfer. CMD-DUO - GF Instruments, s.r.o. CMD-DUO electromagnetic conductivity meter completes our family of advanced digital conductivity meters with the instrument for deep surveys. Easy operated set with variable dipole distance allows multidepth field survey with results suitable both for apparent conductivity and model sections (inversion by IX1D). geological survey, water management (searching for potable water sources, groundwater protection, ground contamination monitoring), raw material prospecting, investigation of underground objects. CMD - GF Instruments, s.r.o. Electromagnetic Conductivity Meters CMD represent large family of contactless geophysical instruments for fast assessment of ground conductivity and of inphase (susceptibility). Single or multi depth probes designed for 0.5 - 9 m depth range allow single or multi layer mapping in classic or GPS modes including vehicle applications. 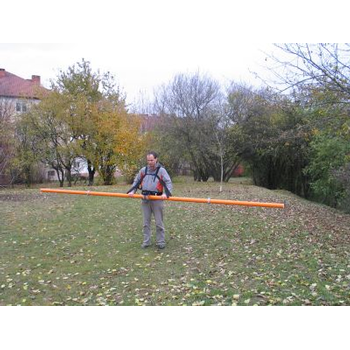 Geological and civil engineering survey, agriculture and forestry, environmental monitoring, groundwater protection, raw material prospecting, archaeology, metal objects and networks detection. Wave3D CMD - CEMWorks Inc.
Wave3D CMD 'command-line' controlled suite of tools is designed for large-scale parametric modeling of electromagnetic phenomena using High-Performance Computing (HPC) facilities and Cloud computers. 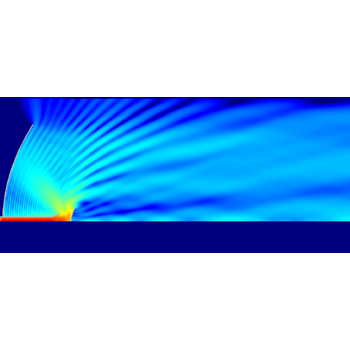 The package utilizes the same computational engine based on MLFMA aided Moment Method solution of the Surface-Volume Integral Equation as the Wave3D CAD package. 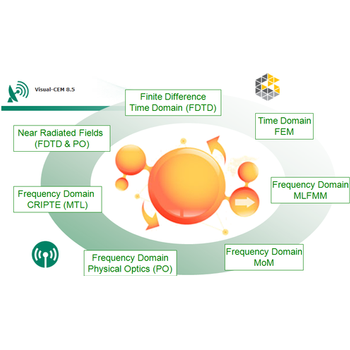 Method of Moment analysis with multilayered media Green's function enables efficient analysis of wide range of 3D planar applications such microstip antennas, microwave circuits, and interconnects. 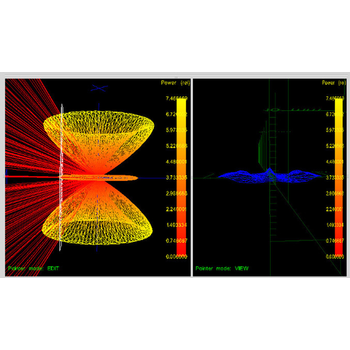 EMX® - Integrand Software, Inc.
EMX is an electromagnetic simulator for high-frequency, RF, and mixed-signal integrated circuits. EMX is a planar 3D, integral equation solver that uses a very accurate representation of Maxwell's equations. 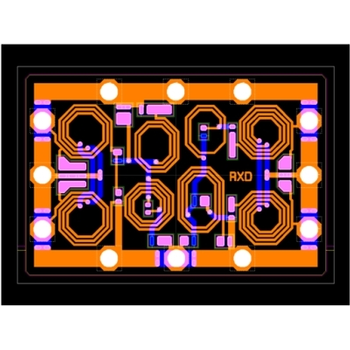 It features: 3D conductors and vias. true volumetric currents to accurately account for skin effect. accurate sidewall capacitances. layered and lossy substrate effects substrate and inter-component coupling. QuickWave-V2D - QWED Sp. z o.o. Unique on the market and ultra fast Vector 2D (QW-V2D) electromagnetic solver is applicable to the analysis of axisymmetrical devices (which are also called Bodies Of Revolution) as large as 2000 wavelengths, including antennas (horns, rods, biconical), circular waveguide discontinuities, and resonators. It is based on the Maxwell equations re-expressed in cylindrical coordinates. Definition of a 2D long-section of the structure allows for hundreds times faster simulation than brute force 3D analysis. 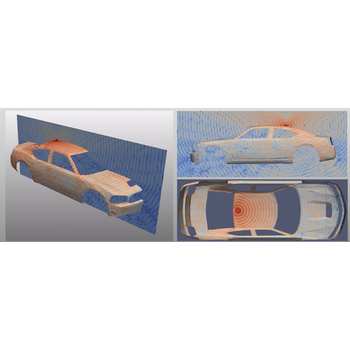 Efield® offers a complete and unique integrated modelling and simulation environment for 3D analysis of a wide range of electromagnetic applications such as: Antenna design All kind of antennas including horn, reflector, wire and microstrip antennas as well as broadband antennas and antenna arrays. Antenna integration Radiation pattern of installed antennas on large platforms such as aircraft or ships. Coupling between installed antennas. 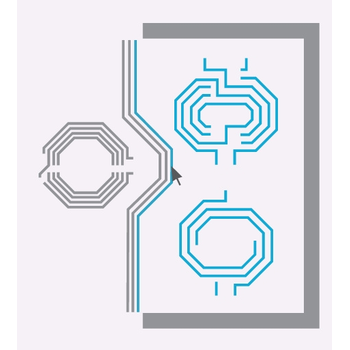 Microwave design Typical applications includes design of filters, connectors and couplers. 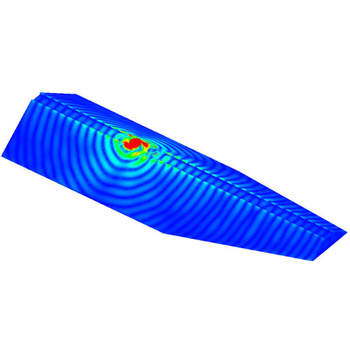 EMI/EMC interaction Analysis of a wide range of EMC/EMI problems including shielding and coupling. Scattering & radar cross-section RCS analysis of structures such as aircraft, ships, air-intakes, exhausts, and antennas.